Cambridge Online is a vibrant and forward-looking educational charity and social enterprise based in Cambridge taking on the challenge of digital skills for all. We help people from the Cambridgeshire area to get online by teaching digital skills, and we then provide a range of courses to help people make the most of being online – including searching and applying for jobs, literacy and numeracy skills, shopping online, using Facebook and socialising online, contacting government and health services, leisure and healthy living – in fact, we will try to help you learn anything people want to do online! We specialise in helping disabled and disadvantaged people, but our services are open to all. We provide training on personal computers, laptops, tablets and smartphones. 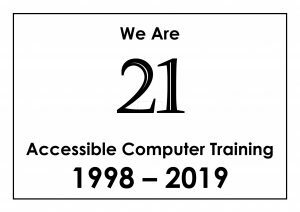 We have a wide range of accessible hardware and software for people to try. 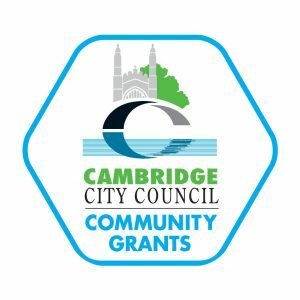 With generous support from Cambridge City Council and personal donors, many of our services are provided free of charge or at low cost. Looking for Digital Skills Training? Click here to find out when and where you can find us. Or call us on 01223 300407 to find out more about our courses, or to book a session. Following on from our Profile Video, Karen Cann has produced a short video showcasing our outreach work at Cambridge City Council’s Akeman Street Community Room. The web can be liberating for disabled and disadvantaged people – but a lack of training, accessibility and funding means the online world is a step too far for many. Follow this link to see a story featuring us in The Guardian.